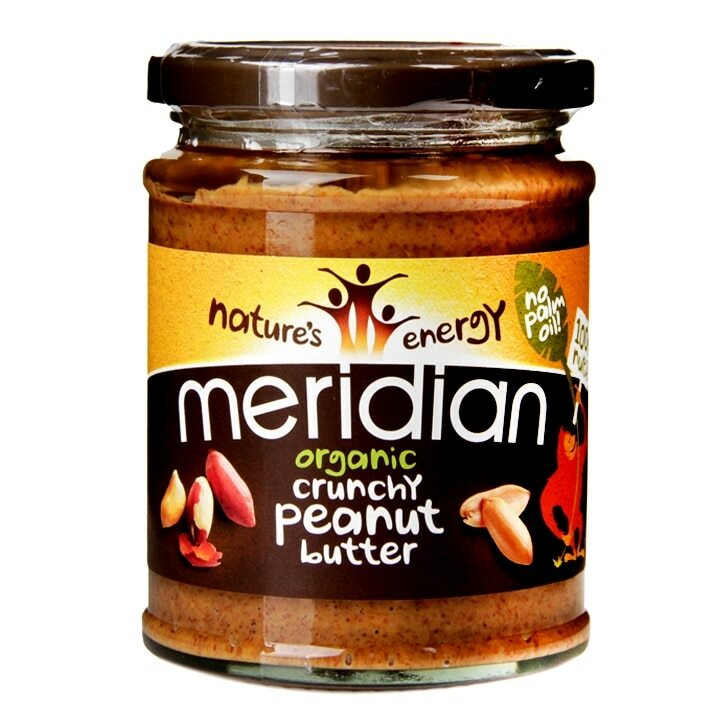 Meridian Organic Crunchy Peanut Butter is rated 4.7 out of 5 by 15. Rated 5 out of 5 by Heathly eater from Organic Crunchy Peanut Butter Just like eating handful of peanuts. Great topping for toast, bagels, crumpets - no need for butter so very healthy or even just eat a spoonful when peckish. Rated 5 out of 5 by Kendra from Excellent Butter A lovely smooth taste with a hint of crunch, we all love it. Rated 5 out of 5 by Louise0784 from Tasty Peanut Butter This tastes great and with no added sugar or salt- just 100% nuts. Rated 5 out of 5 by Beener from Love this product,so tasty and crunchy,will buy it again.